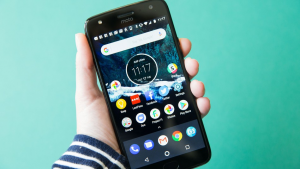 Here, I explain to How to Uninstall Apps from Moto X4 and Moto X4 are a massive phone available in the market and this news phone confusing for uninstalling apps so see below steps to very easy uninstall apps from Moto X4 that is best for all time. Here, explain 3 basic methods to uninstall Apps in your Moto X4 see below. Here, Apps you have downloaded and installed that are not pre-installed can be uninstalled from Settings these steps. Step 1: Here, open Settings. Step 3: Swipe over to All. Step 4: Choose the app after then select Uninstall. Step 1: Open the Apps tray. Step 2: Tap the app you wish to delete. Step 3: Drag the icon to Uninstall. Apps installed using Google Play can also be removed from within the Play Store app that is best for all time. Step 2: Tap the Menu button at the upper-left corner of the screen. Step 3: Select My apps and Games. Step 4: Here, Select wish to remove after then select Uninstall. Here all about removing apps from the Moto X4. Use these steps keep the device tree that is best for all time. Here, a complete guide for How to Uninstall Apps from Moto X4 and you read this guide very helpful for you. I mostly use the second method to uninstall the app.